Dry roast black gram dal on a medium flame in a broad based bowl till you get a pleasant aroma stirring occasionally. Sieve maida in the siever. Tie it in a white thin cloth and steam it in the pressure cooker for exactly 20 minutes. On cooling just press the lumps with your hands powder it and sieve it. Mix roasted black gram dal powder from step 1 to maida and sieve it together around 2-3 times so that it gets mixed up evenly. Add salt, butter, sesame seeds and mix well. Slowly add water and bring it to the consistency of chapati dough. Insert dough into the chakli mould such that it fits tight in the mould. Set your mould and roll out chakli of required size in circular form on a thick plastic sheet. Place a skillet with 4-5 cups of cooking oil in it on a medium flame. When heated fry the above chaklies to light brown on both the sides. 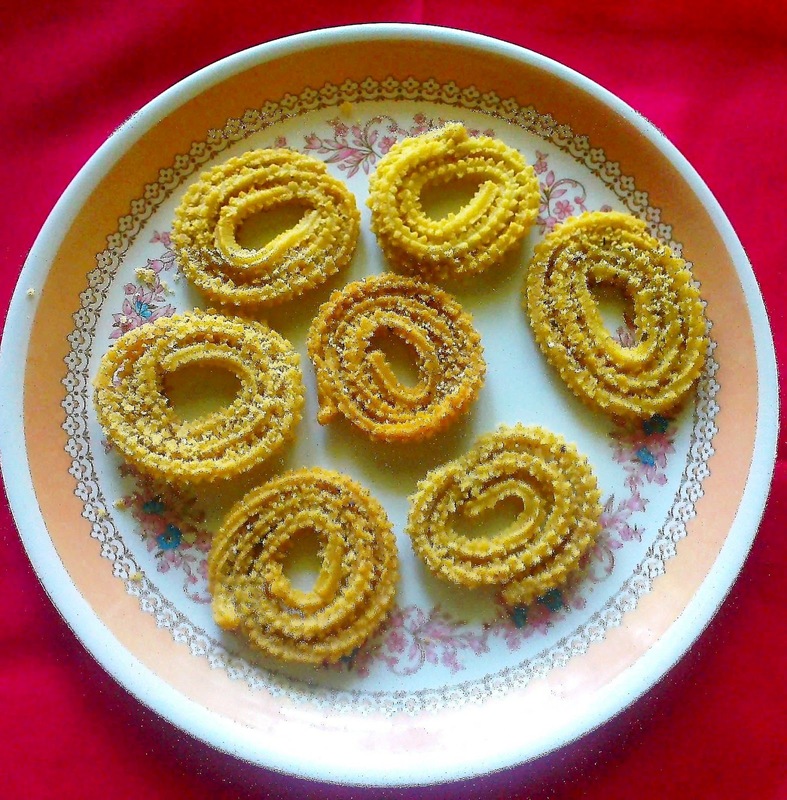 Very simple and easy recipe thank you Namitha. I would love to try it for Diwali.